Connect all of your legacy devices to your modern USB-C notebook. A USB-C hub is quickly becoming an indispensable piece of gear. 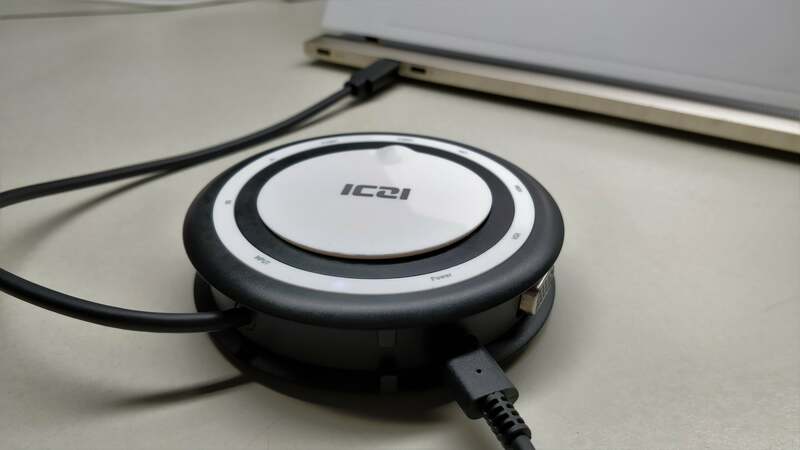 Though we like to mock Apple for its rat’s nest of wired dongles for connecting legacy peripherals, more and more PC laptop and tablet makers are adopting USB-C, making it a headache to connect devices like older hard drives or mice. In fact, most ultrabooks and tablets now include just one or two USB-C ports, often without high-speed Thunderbolt capabilities. Fortunately, there are so many USB-C hubs available with various combinations of legacy I/O that finding one to meet your particular needs is as easy as ordering off a menu: a few USB-A ports here, an SD card slot there, and possibly HDMI and ethernet, too. Some even allow you to charge your laptop via a pass-through USB-C port. We’ve divided our picks into two categories: basic and full-featured, with the latter denoting hubs that offer greater extensibility, including charging. 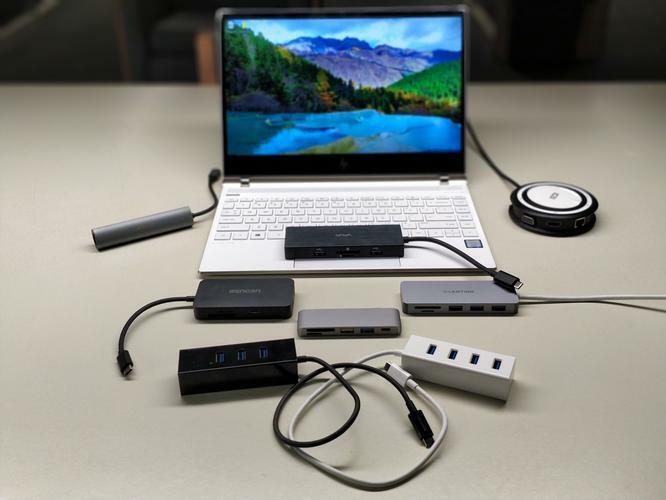 Below our picks you can find information on how to choose a USB-C hub and how we tested these hubs in our evaluations. You shouldn’t have to think too hard about a basic USB-C hub. Look for a good price, consider whether you want to pay a little extra for something like ethernet, and try to find products with a good warranty for added peace of mind. The upper tier of USB-C hubs typically feature even more ports, including ethernet, HDMI, and power inputs. This is essentially the dongle equivalent of a docking station. Unfortunately, many of these more expensive hubs share the same basic 6-inch cable of their cheaper cousins, meaning that these dongles may still dangle from tablets and some laptops. We tested a variety of hubs to find those we liked best. Just because we didn’t call out a particular hub doesn’t mean it won’t work for you. Remember, some hubs mix and match different port types, and different form factors, too. Pay attention to our ratings, prices, and the quirks of each hub to find alternatives that may fit your specific needs. Here’s where to start: Take a look at the peripherals you own, or plan to buy. 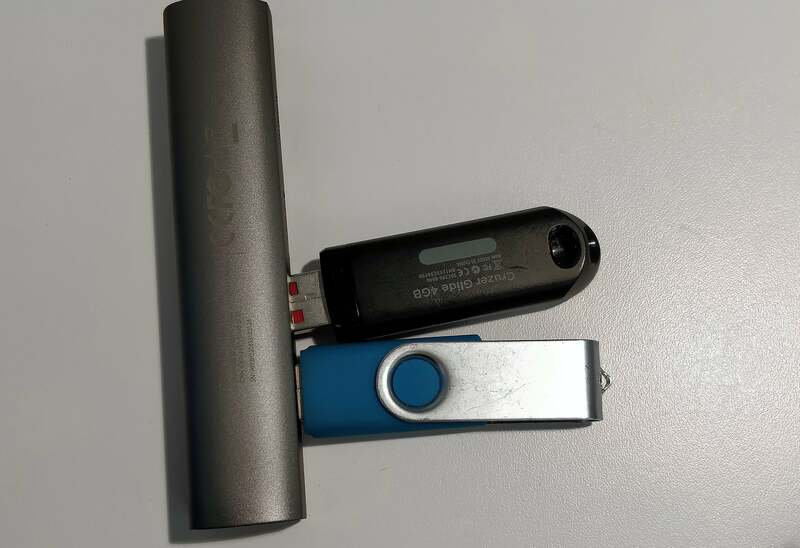 Do you have an old external hard drive that uses a traditional USB-A cable? Do you manually back up photos from an SLR via its SD card? Or is your Wi-Fi connection unreliable enough that you’d prefer ethernet? Figure out what ports you’ll need. This laptop has several USB-C ports, but if yours has just one, you’ll want to daisy-chain the laptop’s power cord by plugging it directly into the hub, like so. Because USB-C is common to both Macs, Windows PCs, and phones, some hubs push their allegiance to a particular market category. There’s nothing saying that you can’t use an Anker hub that’s billed as being “for MacBook Pro 2016/2017, Chromebook, and XPS” with any Windows PC—we did, and it works just fine. You won’t even need any special software or drivers. We originally divided this guide into three categories: USB-C to USB-A hubs; a second group that added microSD and SD card slots; and a third, “kitchen sink” collection that would add a variety of additional ports. We were very pleased to discover that some manufacturers offer SD/microSD slots for the price of USB-C to USB-A hubs, so we consolidated those features into one “Basic” category. We used bus-powered peripherals to test each hub: an SSD, a hard drive, and a rewriteable DVD drive, all to make sure enough power was being delivered. We conducted standardized tests to transfer a file from the SSD to the laptop; from the hard drive to the SSD; and then from an SD card to the PC, while simultaneously transferring files from the hard drive to the SSD. In almost all cases, the performance was identical, with a spread of about 3 percent—good news for you, as that’s one less thing to worry about. We also measured the surface temperature while these tests were run. You’ll see some buyers on Amazon pages complaining about how hot a hub gets; some do get on the warmer side. We looked at how SD cards were inserted—you’d be surprised how many don’t work unless they’re inserted upside down! We noted the cord length, as this could cause a hub to dangle from a tablet whose USB-C port is mounted toward the top of the display. We also ran speed tests on those hubs with ethernet connections, just to detect any anomalous results. Why bother testing something as ridiculous as the spacing between the USB Type A ports? Because if you don’t, you can run into this situation: because the ports are spaced too closely together, only one of these USB keys can be inserted at a time. All in all, we tested a dozen USB-C hubs, with more to come over time. Some no-names performed just as well as their more well-known counterparts, and for less money, too. One thing to keep in mind: Since price is so critical to our recommendations, know that some of the prices may change as manufacturers offer sales. Therefore some hubs we didn’t recommend primarily based on price could become more purchase-worthy. Expect to pay about $20 for the “basic” category of USB-A/SD hubs. The more advanced full-featured options can run up to $70 or so, depending upon which ports are included.